Continuing with the legacy that they have created almost 7 years back, Nintex is back once again with a list of finalists for its Nintex Partner Awards for this year soon to be held in Las Vegas, Nevada. Reaching out to companies that have optimally used the Nintex Platform and have demonstrated the versatility and the flexibility that can be achieved through Intelligent Process Automation, Nintex has been recognizing and felicitating organizations that have been helping clients in improvising their business processes through development of customized services and solutions. With the Nintex Partner Awards night scheduled on the 15th July, the list of finalists is already out with 3 organizations from the Americas, EMEA and APAC across four categories that include: Business Excellence, Business Acceleration, Customer Success and Regional Spotlight. Based on the innovative solutions that are provided, these companies have been able to make it to the list of finalists for these awards and are being recognized by Nintex as channel partners. The fruitful solutions they have provided in helping organizations improvise on their work and make the actual difference in streamlining processes at the bottom line itself and has actually pushed these companies to stand out among the crowd and make their place in this esteemed list. 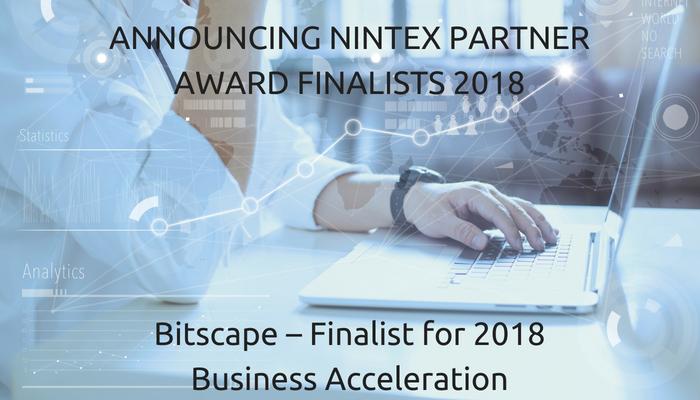 A proud member of this list, Bitscape Infotech Pvt Ltd from USA has also made it to this list in the category of Business Acceleration for the Asia Pacific region and is one among the strong contenders for the award. Whilst everyone awaits for the names to be announced in a gala dinner night on the 15th July 2018 at Las Vegas, Nevada, it actually makes an immense difference with the progress that these organizations have led to by pushing one step at a time and inculcating latest technologies in day to day working environment. Effective, efficient and smooth workflow is the essence of a well-organized and excellently managed business. With an increasingly evolving business world, it is vital to integrate the latest software and platforms that help to make business streamlined and perform in the best possible manner. Nintex is one of the global leaders in business and corporate solutions. The company designs and develops highly efficiency-enhancing apps and software to work perfectly with the globally popular Office 365 business platform. Nintex Workflow and Nintex Form are two of the top popular Office 365 extension apps. These are specifically designed to optimize your business processes and make it relevant in today’s age. Nintex Workflow and Nintex Forms can help streamline and manage numerous of your business processes, including application, approval, and denial of projects or processes. From simple applications as employee leaves to complex applications, such as decision-making for tough processes, these apps efficiently manage your various business processes. Nintex Workflow and Nintex Forms are easily customizable and can help in effective branding across all departments in your business. These apps are able to provide consistent branding for your staff using CSS. From adding company logo and colors to your business forms to customizing even the boxes in the forms, Nintex allows you to make extensive customizations in your business forms and workflow. Nintex Workflow and Nintex Forms are designed to be easiest to use by company employees. 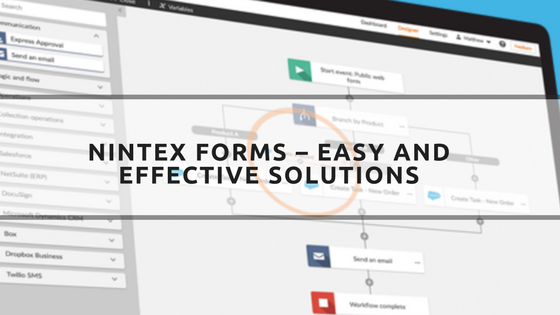 The simple, yet effective, design coupled with faster processing capabilities make Nintex Workflow and Forms the easiest to develop efficient business workflows. The ‘drag-and-drop’ function is an efficient function which ultimately helps to make everyday business processes more efficient and faster. The Nintex Workflow and Nintex Forms for Office 365 are designed for easy integration into globally popular business platforms, such as your SQL, CRM or another such business service which is web-based. The apps are also easily integrated with popular online social networking platforms, such as Twitter or Yammer. There is no coding required to integrate these excellent apps into your existing business web-service platforms. Why should you learn about Nintex Workflow and Nintex Forms for Office 365? 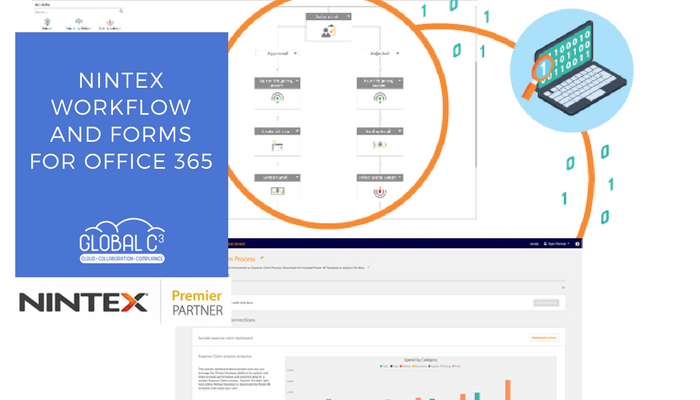 As we have seen, Nintex Workflow and Nintex Forms apps for Office 365 are excellent and efficient for ensuring streamlined and ideal business functioning. To learn how to integrate and use the Nintex Workflow and Nintex Forms in your Office 365 efficiently, you can take a simple 2-day introductory course from Microsoft. This is a 2-day instructional course led by an expert instructor who will show you how to use the Nintex apps in Office 365, effectively. You will learn to use the Nintex apps with SharePoint online and to customize and automate your business processes easily. Understand the instances when Nintex Workflow and Nintex Forms can be used with SharePoint online. Be able to automate the commonly performed business processes, such as approval and feedback. Know how and when you can create a site and list workflows. Be capable of using various workflow options to bring uniformity to business processes, such as in copying or deleting documents, as and when required. Learn to create custom data entry forms for use with SharePoint. Learning to integrate and use the Nintex Workflow and Nintex Forms is an essential skill today. It is highly advised for corporate employees to understand the numerous excellent features in these business processing apps and help to run business processes more effectively and efficiently. Nintex Technology is one of the most innovative and advanced business solutions providers. It provides business processing solutions that enable clients to improve their business processing abilities significantly. Nintex Workflow and Content Automation systems are here to revolutionize the way you handle your various business processes. It helps to gain a clear advantage over competitors with advanced and automated document generation. Now you can easily access workflow processes to monitor and manage them. It helps to increase operational transparency and provides remarkably improved business performance. What is Nintex Workflow Automation? Nintex Workflow automation system is the ideal way to streamline your different business processes. This is aimed to integrate manual and paper-based processes that are often difficult to manage or require unnecessary business time and resources. WCA (Workflow and Content Automation) is designed to consolidate the conventional business workflow and content generation procedures into automated ones. This is an important step when you wish to digitalize your business and improve its efficiency. WCA is helpful in improving simple departmental processes as well as complex business processing. It can effectively work with numerous types of content, at any time and anywhere. It directs the generated content in the right direction for optimal use. How Nintex Workflow and Content Automation System helps Your Business? Nintex Workflow and Content Automation system can work wonders in easing your overall business processing. Overall, Nintex Workflow and Content Automation system provides you with the essential competitive edge you need to stay ahead in today’s highly competitive business world. Why Choose Nintex Workflow and Content Automation systems? Choosing Nintex Workflow and Content Automation (WCA) systems is one of the essential and best business decisions you will ever take. Affordable – One of the golden rules of doing business is saving every penny that you can. 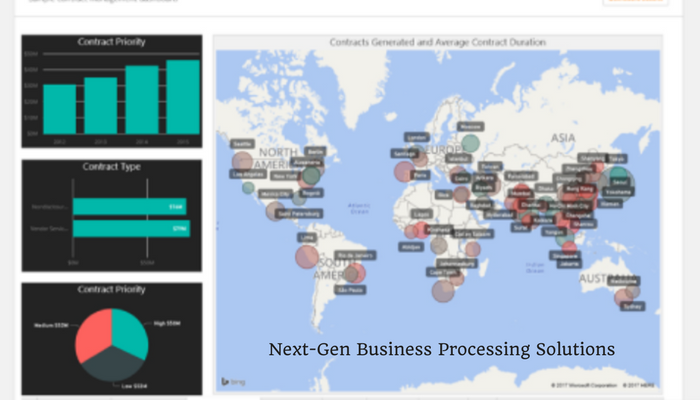 With the Nintex workflow and content automation (WCA) system now you can avoid the high cost of designing, developing and integrating BPM (Business Process Management) solutions to make business processes easier. The BPM requires immense time, resources and skills to operate and maintain. With the WCA being completely automated now you can use the spare manpower and skills at your disposal for more business-centric processes. Efficient – Nintex Workflow and Content Automation (WCA) solution is designed to ultimately provide easier and faster business processing. This efficient system gives you the liberty to design, test and measure a workflow process before you integrate it into your business processing in real-time. It is developed for test-and-run scenarios. It is an easy, efficient and faster way to improve business processes. Easy – The Nintex Workflow and Content Automation (WCA) system is efficiently based on integrated software or extensive cloud-based services. It is complete with a simple UI (User Interface) which uses clicks, not codes, making it easy for use by less tech-savvy users. These and other such efficiency-enhancing features make Nintex Workflow and Content Automation (WCA) an ideal and effective solution for ensuring faster and safe business development. The internet has enabled the ever-important data collection and assimilation to become even more complex and harder. Since the huge volume of content and information is available every day, it’s become essential for small and large businesses to seek better solutions for information management. Nintex Technology allows you to have Sharepoint and Office 365 designed forms. These can be easily customized into the simple point-and-click format. Pre-defined layouts are used that fit all universal devices, form factor, and screen size. Nintex forms are capable of removing unnecessary steps from various business processes. This ensures better productivity from your employees. It helps to make data collection easier. Overall, it is an essential tool to ensure higher efficiency for your team. How Nintex Forms Help in Better Business Processing? 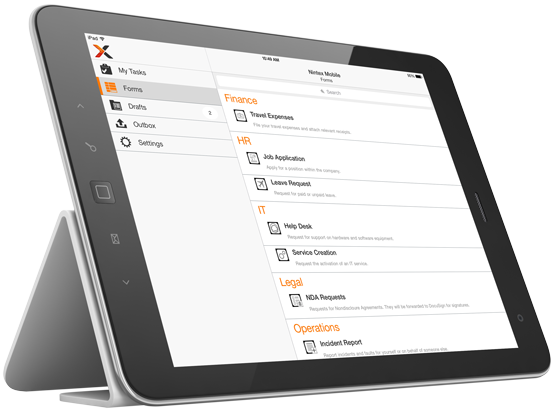 Nintex Forms are designed for automating various business processes. These help to ensure smooth processing, without the conventional manpower required for it. Why Choose Nintex Forms for Your Business? Nintex Forms are designed to be intuitive and can be easily used with a browser. The simple design allows it to be used without the need for any type of client software licensing or installation. Now you can easily design visually pleasant forms with high-quality graphics using HTML formatting. You can check the preview before publishing these forms for public use. This provides an extensive technique to customize and improvise the forms, according to the specific needs. Nintex Forms are generated automatically, and can also be customized extensively. This allows you to convert conventional workflow into sophisticated and efficient business applications. Nintex Forms can be distributed to users, even outside your system’s firewall, easily. Your mobile applications will allow support of online access. It also enables you to easily capture touch input, camera photos, location data, audio, video, etc. 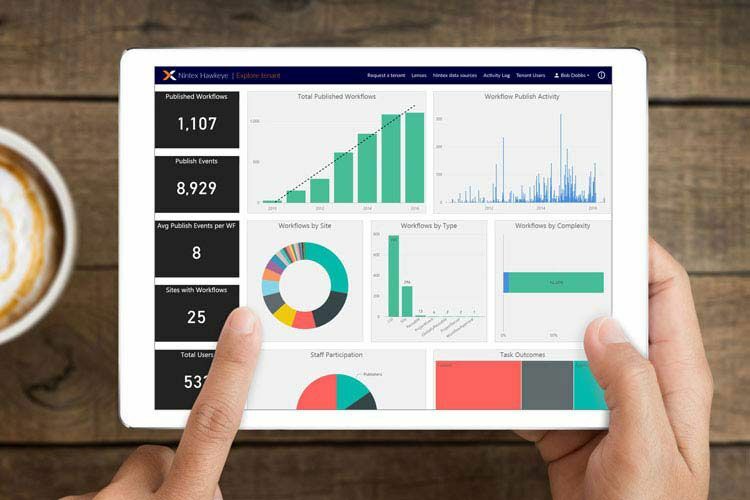 Integrating Nintex Forms in your business processes is the key step on the path to digitalization and efficiency-enhancing of your business overall.